Tiger Lily is a unique character in the Disney film Peter Pan. 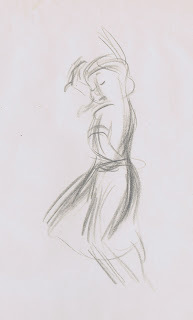 Just like Tinker Bell she doesn't have any dialogue in the movie, but her emotions and attitudes are always clear. She is one courageous young lady. 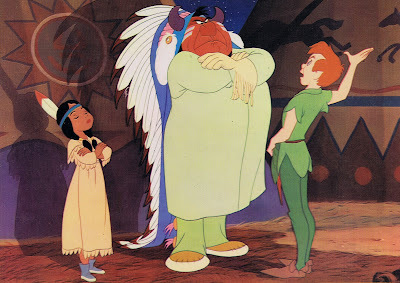 By resisting Captain Hook and not telling him about Peter Pan's hiding-place, she risks her life. 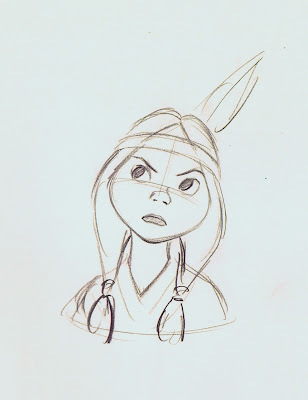 Milt Kahl came up with the final design for the character. 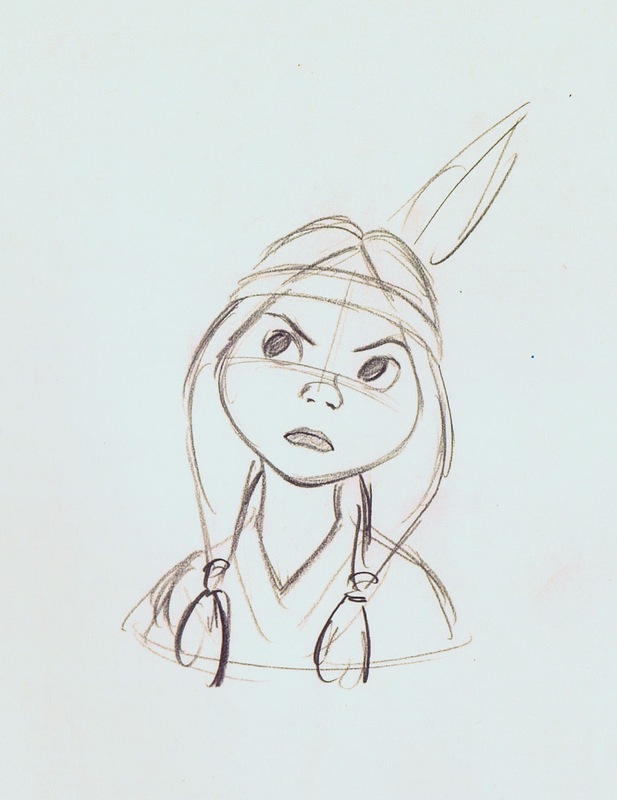 He did the drawing above for Ken O'Brien, the animator responsible for most of Tiger Lily's scenes. 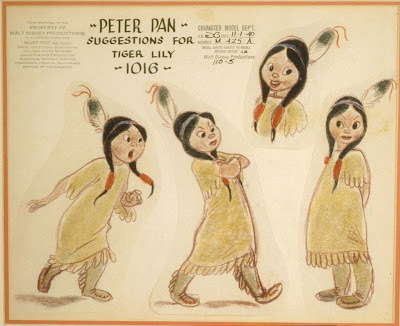 These model sheet drawings were done by James P. Miller during the early 1940ies, when Peter Pan was in early pre-production. Actually the final design doesn't differ that much from Miller's beautiful concept. A couple of stunning animation roughs by Ken O'Brien, who is one of those unsung animation heroes. 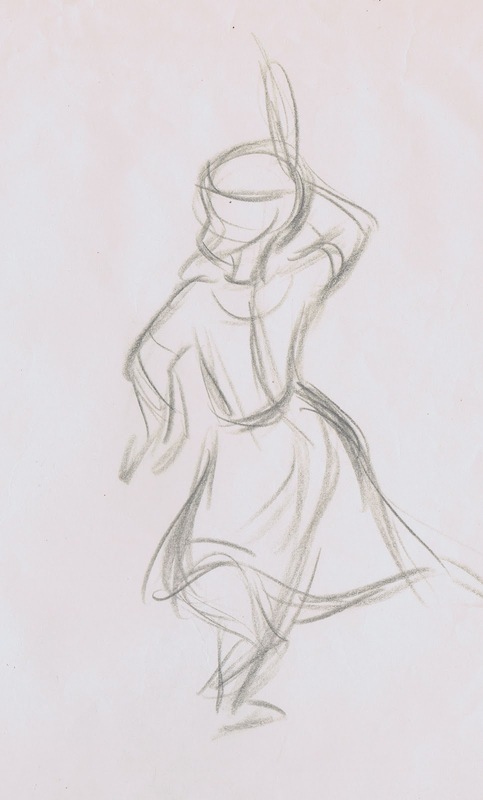 This spirited Tiger Lily dance alone makes him a top animator, and his work over the years deserves further investigating. A frame from the film shows Tiger Lily next to her father, the Indian Chief, and Peter Pan.